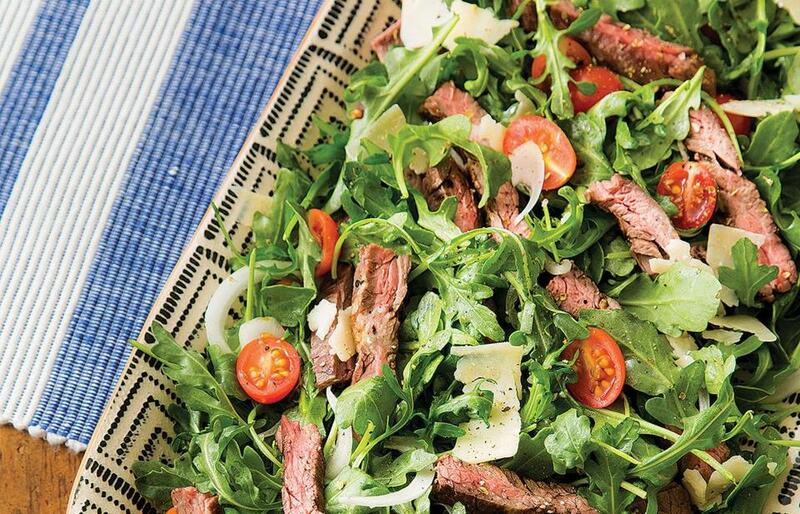 Plus, a skirt steak salad recipe that lets you test your skills. Anyone who has ever grilled knows that fire is as delightfully primal and instinctual as heat sources get. Nonetheless, following some basic guidelines and techniques will help you get the best results from your charcoal grill. Charcoal briquettes are uniformly shaped and burn at an even rate. They’re fine for high-heat grilling, and a good choice when foods require medium or low heat because they’ll burn down and maintain lower heat levels for a while. I avoid self-starting briquettes, which are infused with lighter fluid, because they can impart off flavors to the food. Pieces of lump hardwood charcoal are irregularly shaped, with a more natural appearance than briquettes. They also burn hotter and faster than briquettes, letting steaks, chops, or burgers quickly develop a crust without overcooking. 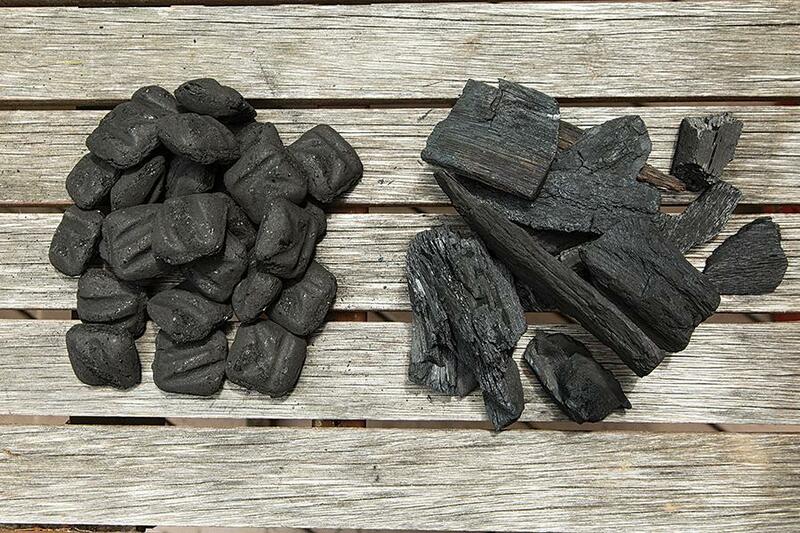 Charcoal briquettes vs. lump hardwood charcoal: Which should you use? Go big, so you’ll have space for plenty of food and for a two-level fire with hot and cool zones. Air vents that adjust easily are another important feature. Some modern charcoal grills have a gas-powered fire starter. If yours doesn’t, light your charcoal with a chimney starter (above). Crumple two or three sheets of newspaper and put them in the bottom chamber (don’t overstuff). Add the charcoal to the upper chamber and light the paper. 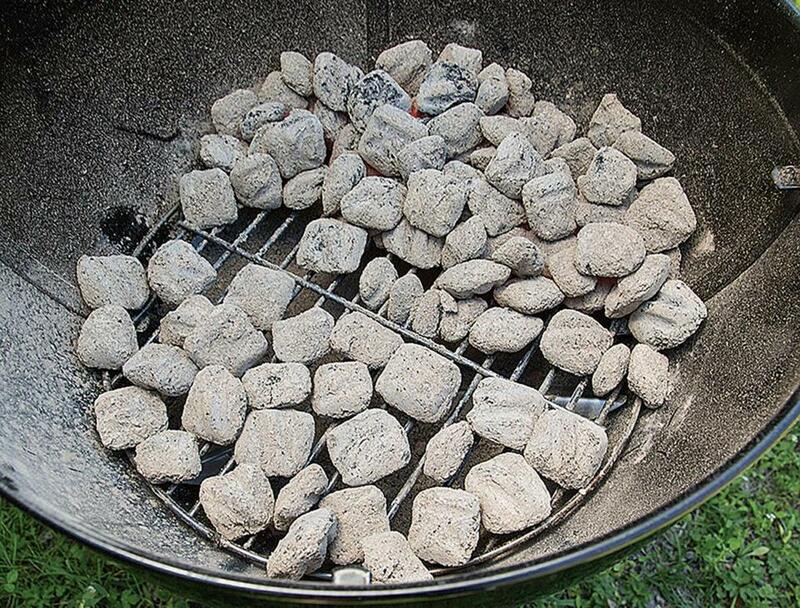 Make sure the charcoal in the chimney starter is covered with a layer of fine gray ash before dumping it into the grill. 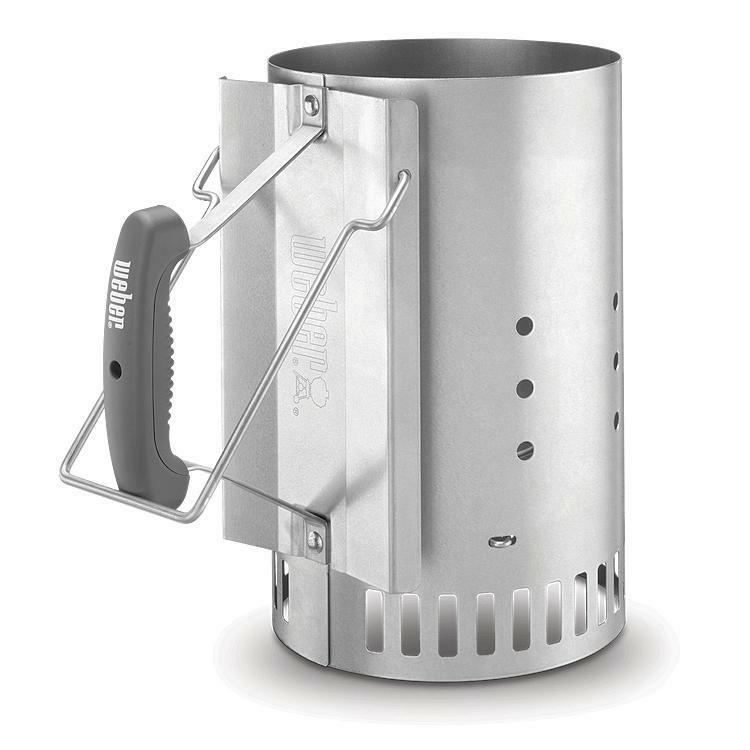 A chimney starter for a charcoal grill. Call off the search, here it is. Plus, a nice kale slaw to go with it. 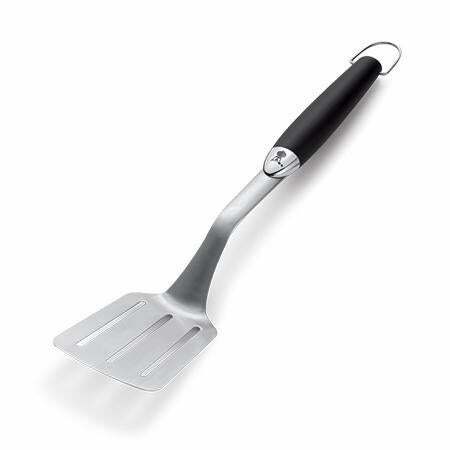 A clean grill grate is essential, and, therefore, so is a good grill brush. I prefer the type with replaceable steel mesh pads rather than bristles. 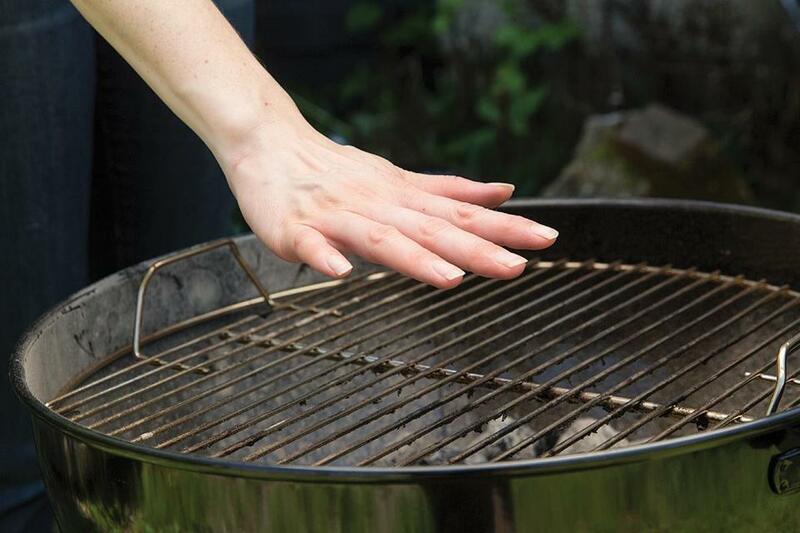 Clean the grill grate when it’s hot so gunk will be loose and easier to remove. In a pinch, you can use a crumpled piece of aluminum foil with long-handled tongs. These are essential for both repositioning the lit charcoal and moving food on the grate. The best ones are easy to squeeze, have scalloped pincers for a sure but gentle grip, and have a tab-operated lock that won’t trigger accidentally. 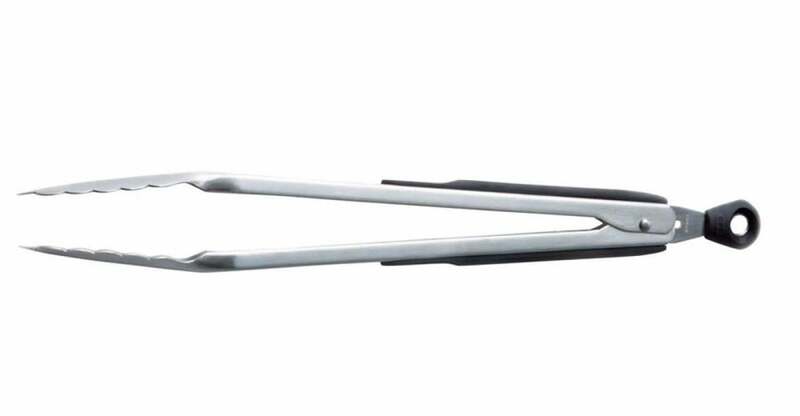 Many grillers prefer extra-long tongs (16 inches or more) to put more distance between their hands and the heat. To move delicate foods that could break apart with tongs (think fish fillets), use a heat-safe spatula with a long handle and a blade that’s offset for maximum leverage. A thermometer is as essential for grilling as it is for cooking indoors. Always check the internal temperature of grilled foods to ensure that they’re cooked sufficiently and to avoid cooking them to death. Empty ash catchers and scrape away the accumulated soot and food matter that can ignite or make your food taste funky. You don’t want a raging inferno, but neither do you want the fire to die down too quickly, especially if you’ve spent a bundle on expensive steaks. Build a multilevel fire, with hotter and cooler areas, so you can move food away from the direct heat if necessary. After dumping out the hot charcoal, move most of it to one side of the grill, creating a cooler zone on the other side. Put hot charcoal to one side of the grill to create a cooler zone on the other side. Before cooking, heat the grill for at least 5 minutes, covered. Hold your hand, palm down, about 5 inches above the grill grate. If you have to move your hand within 2 seconds, the fire is hot; 3 to 4 seconds, the fire is medium-hot; 5 to 6 seconds, the fire is medium; and 7 seconds, the fire is medium-low. Don’t touch the grill to test the temperature. Instead, hold your hand about 5 inches above the grill great to detect the heat. To oil the grate, hold a wad of paper towels in tongs, then dip it in vegetable oil and run it over the hot, cleaned grate. Never put cooked food back on a platter used to transport raw meat, poultry or fish. Always use a fresh platter. Simple grilled skirt steak salad. Prized for their rich, beefy flavor, skirt steaks are long and thin, with pronounced grain. If overcooked or cut incorrectly, they can be chewy. 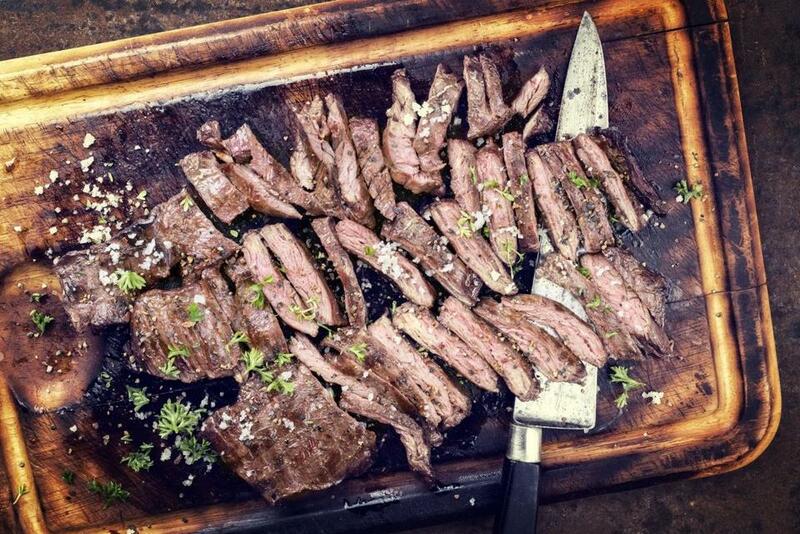 The essential factors for a tender grilled skirt steak are: high heat; cooking it to no more than medium (medium-rare is better); and slicing it very thin, across the grain. Skirt steaks are too thin to use an instant-read thermometer, so you’ll have to rely on the look and feel of the meat or on nicking it to get a glimpse of the interior. Sprinkle each side of the skirt steak with a generous amount of salt and pepper and set aside at room temperature while the grill heats. Prepare a very hot fire in a charcoal grill, or preheat a gas grill on high for 15 minutes. 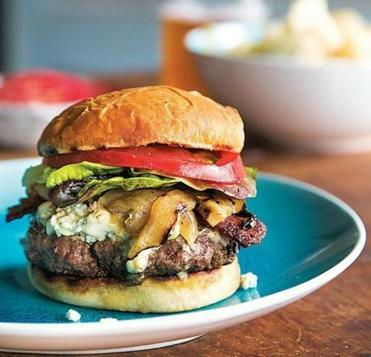 (If using a gas grill, leave the burners on high and grill with the lid closed.) Clean and oil the grate and grill the steak directly over the flame, undisturbed, until it is well seared, grill-marked, and cooked rare or medium-rare, about 5 to 8 minutes, turning once halfway through grilling time. Transfer the steak to a cutting board, cover loosely with foil, and allow it to rest for 10 minutes. Divide the steak crosswise into 3- or 4-inch pieces and slice them very thin, across the grain. Serve at once or use in the accompanying salad recipe. In a large bowl, whisk the vinegar, lemon juice, oregano, garlic, ½ teaspoon salt, and pepper to taste to dissolve the salt. Vigorously whisk in the olive oil to blend. Adjust the seasoning with salt and pepper if necessary. Reserve about 1½ tablespoons of the vinaigrette. Add the arugula or romaine, the onion, and most of the tomatoes and cheese strips to the bowl and toss to coat. Add ¼ teaspoon salt and pepper to taste and toss to coat. Adjust the seasoning with more salt and pepper if necessary, and spread the salad on a large serving platter to form a bed for the meat. Arrange the sliced steak over the salad, drizzle with the remaining dressing, sprinkle lightly with salt and pepper and the remaining tomatoes and cheese strips, and serve at once.